Pete Townshend has been associated with a wide variety of guitars over the course of his storied career, but his story begins with Rickenbackers. Back in the early days of the British Invasion, he could often be seen playing a various Rickenbacker six and and twelve-string axes that he purchased from a British dealer called Rose Morris (check the iconic "Maximum R&B" poster advertising their gig at the Marquee--he's doing his signature windmill over a Ricky 1998!). Because their bright, jangly sound suited Pete's power chord riffage so well, he chose to record the majority of The Who's early output on his Rickenbackers, too. 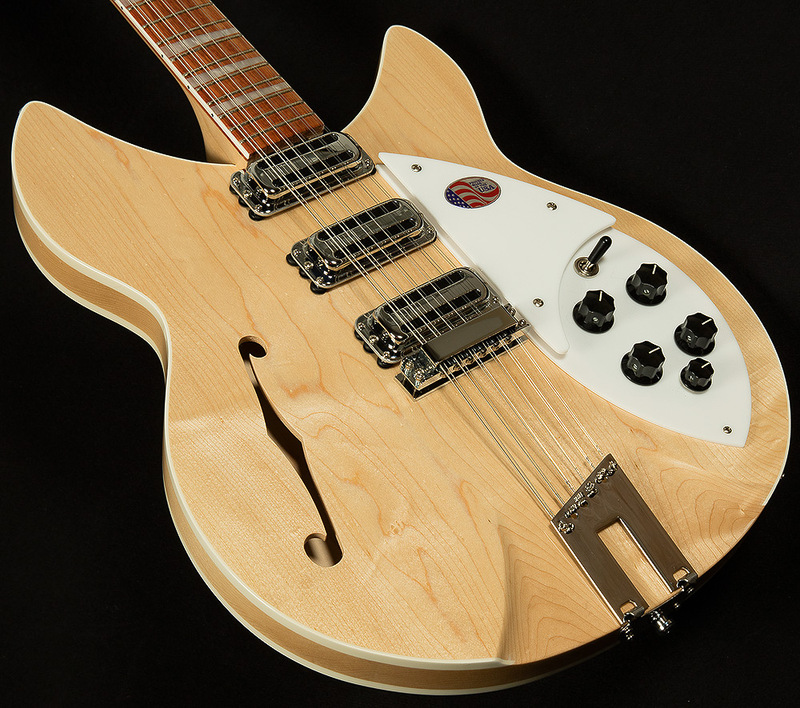 Now, Pete Townshend has asked Rickenbacker to reprise his beloved 1993 from his Mod days, and they have delivered a truly spectacular recreation of one of rock and roll's most important guitars. The 1993Plus sets itself apart from the pack in a variety of ways, but the most important one is feel. Rickenbacker made the neck an eighth of an inch wider at the nut to accommodate players who need wider string spacing for intricate picking patterns, rounded off the neck heel to make it more comfortable to play on the higher frets, and made the neck out of two sturdy pieces of maple instead of one to promote greater stability. They've also dropped in three vintage-style toaster pickups to achieve authentic old-school sounds, and added in an x-bracing pattern to bring out a bit more warmth and roundness from the maple body. Of course, it doesn't hurt that these 1993s look sharp, too! The double-binding on the body really highlights the curves of this iconic shape, and the pearlescent triangle inlays look sharp against the backdrop of the glossy rosewood fretboard. It all adds up to a Rickenbacker that embodies the spirit of Pete Townshend: brash, full of attitude, and ready for any musical adventure that comes its way. Wildwood Guitars is proud to showcase the Rickenbacker 1993Plus for our exceptional customers, and we can't wait to see how they inspire you to rock out (just promise us that you'll be nicer to them that Pete was to his! ).